At Culverden Vets, our nurse clinics can help you with many aspects of your pet’s health. Qualified nurses at our surgery are pleased to be able to offer complimentary Mobility clinics to any dog or cat that needs a little tlc for their joints. We see patients on a daily basis who are suffering with diagnosed conditions such as joint disease, dysplasia and arthritis. Many other patients may have an undiagnosed condition such as arthritis, as our pets often cope better than we would with the symptoms of this disease; cats are particularly good at hiding the signs and adjusting their daily routine to accommodate themselves. As our pets age it is not uncommon for us to put their reluctance to exercise, a bit of stiffness in the mornings, or sleeping in a different position down to their reclining years. 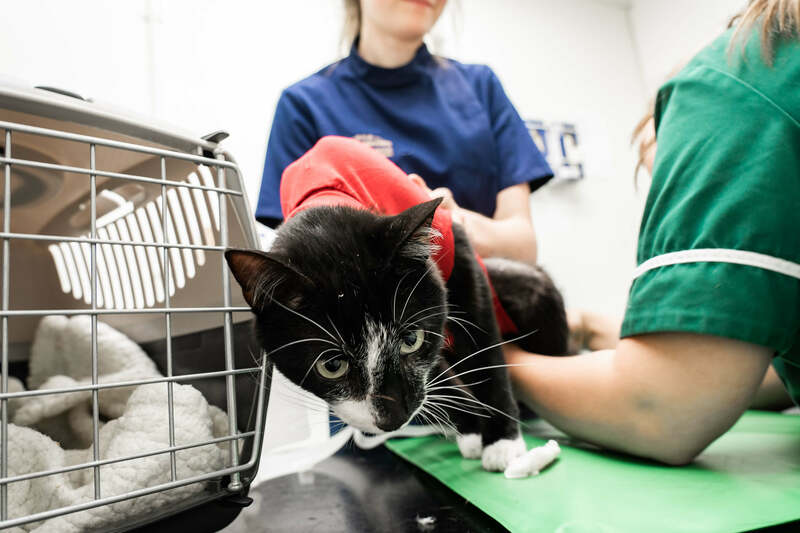 It may well be that a cat or dog is suffering from a degree of pain and discomfort in these cases, despite it choosing to walk a little less and sleep in a different place, but the good news is that we can often help. If your pet has had a diagnosis from us recently, or is on a prescription pain relief medication, then a mobility clinic may be useful. Our nurses can talk you through adjusting your pets exercise or home lifestyle to better suit their needs, as well as discussing diets and supplements that can be helpful in the management of joint disease. 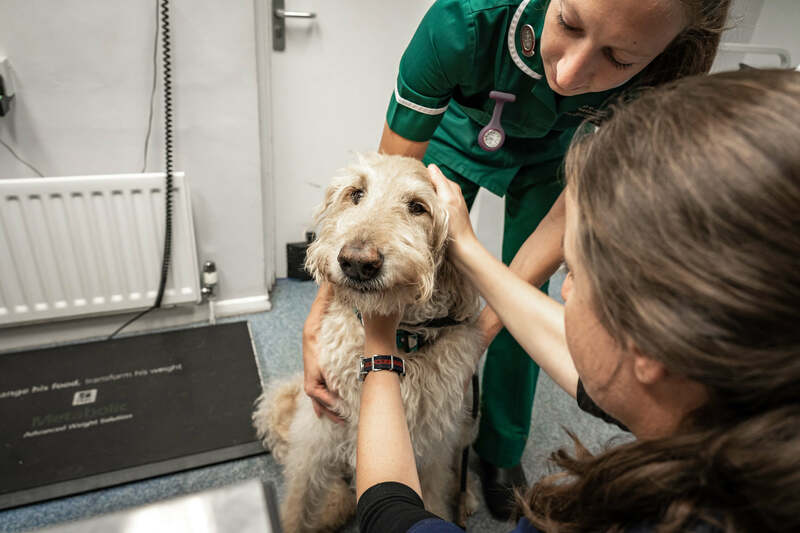 We can tailor the Mobility clinic to suit your pet’s needs, incorporating weight advice and the recommendation of other services such as acupuncture and hydrotherapy if suitable. Mobility clinics are FREE of charge and are an ideal chance for you to work with us to help your pet through the next stage of its life and managing the signs and symptoms of joint disease as it progresses. Please contact the surgery today for more information or if you have any concerns with your pets mobility. When it comes to dental disease, prevention is key. We strongly recommend tooth-brushing, as this is gold standard care for our pets’ teeth, as well as recommending regular dental check-ups which can be done as part of a pets’ annual healthcheck and vaccination appointment. For any client who is concerned about their pets’ teeth we also offer FREE of charge nurse appointments for a thorough oral examination and to discuss dental disease prevention and management. We can offer tips on how to brush your pet’s teeth, as well as advising on a range of products which may be useful in managing signs of disease in those pets who are predisposed or who have already received dental treatment. For our clients whose pets have undergone dental treatment, we offer follow-up appointments with the nurse to check the mouth has healed if extractions have been carried out, as well as advise on further disease prevention. We will then write to you three months after treatment and invite you in for a nurse check-up, which is vital in checking the progress of any at-home disease prevention measures you have put in place, as well as an opportunity to check the teeth again and ensure everything still looks healthy! Qualified Veterinary Nurses at Culverden Veterinary Group are on hand to offer practical, supportive advice and tailored feeding and exercise plans, for any of our client’s pets who may be struggling with their weight. 1 in 3 family pets is now overweight, an alarming number. An overweight pet can be at increased risk of diabetes, arthritis and heart disease and may reduce its willingness to groom, exercise and interact. Being overweight can be attributed to over-feeding, under-exercising, breed predisposition and neutering and lifestyle factors. Recognising a healthy weight for your pet can be difficult, so the weigh-in club is here to help. Nurses will weigh your pet, as well as demonstrating a healthy body condition score (or body shape). They will offer advice on feeding and exercising and selecting the correct food for your pet. The clinics are completely FREE of charge and offer you and your pet the chance to be supported through a weight loss programme, or just to receive some hints and tips on how to cut down on all those sneaky treats! Please call the surgery today if you would like help and advice, and one of our weigh-in club nurses can look forward to seeing you and your pet soon. – to help you administer the correct treatment. This includes a weight check and we can administer the treatment for you if you would like. – to help you manage your diabetic pet’s care. -for general advice on your rabbit. (please note there is a charge for this).